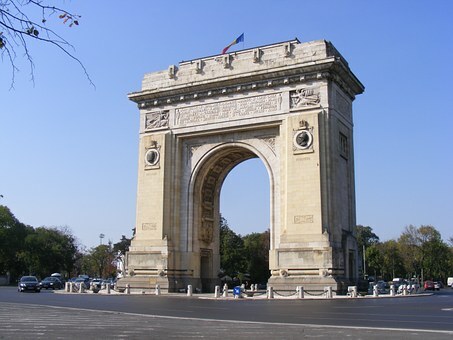 The Arch of Triumph in northern Bucharest, a historic landmark of the Romanian capital, can be visited on Saturday and Sunday (January 26-27), between 10:00 and 18:00. This will, however, bring traffic restrictions in the area. The Arch of Triumph is located in the northern part of Bucharest, in the middle of one of the busiest intersections of the city. The monument reminds passers-by of the Romanian Army’s victory in the First World War and the Great Union of 1918 – one of the most important events in Romania’s history. Built after the French model, the Arch of Triumph in “Little Paris,” as some used to call the Romanian capital city, is the “little brother” of the famous monument of the same name in Paris. The story of the Triumphal Arch in Bucharest begins in 1922, four years after the Great Union, when the authorities of that time decided to organize a great parade to celebrate the event.